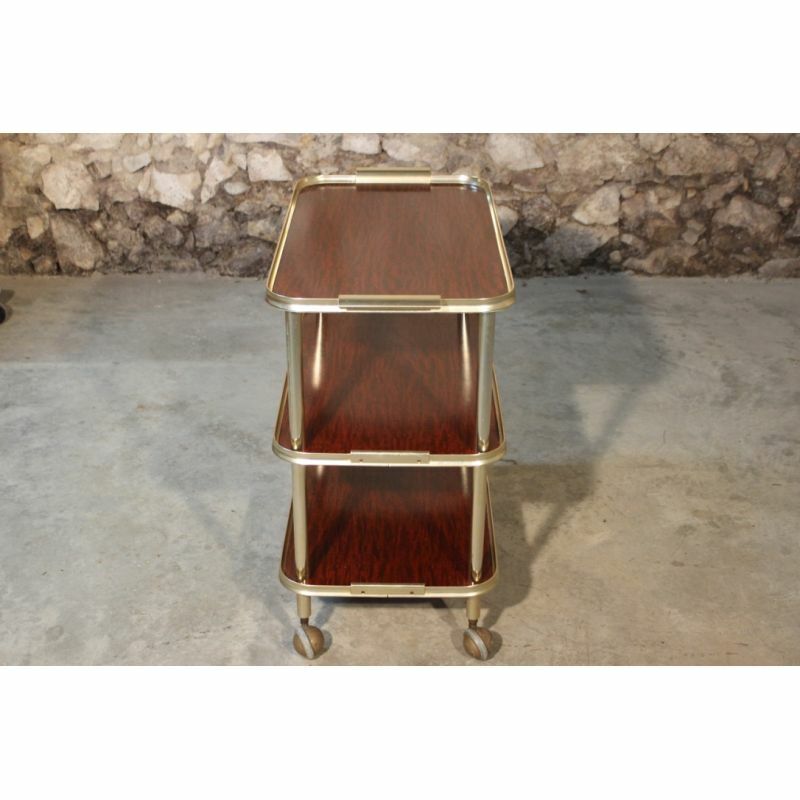 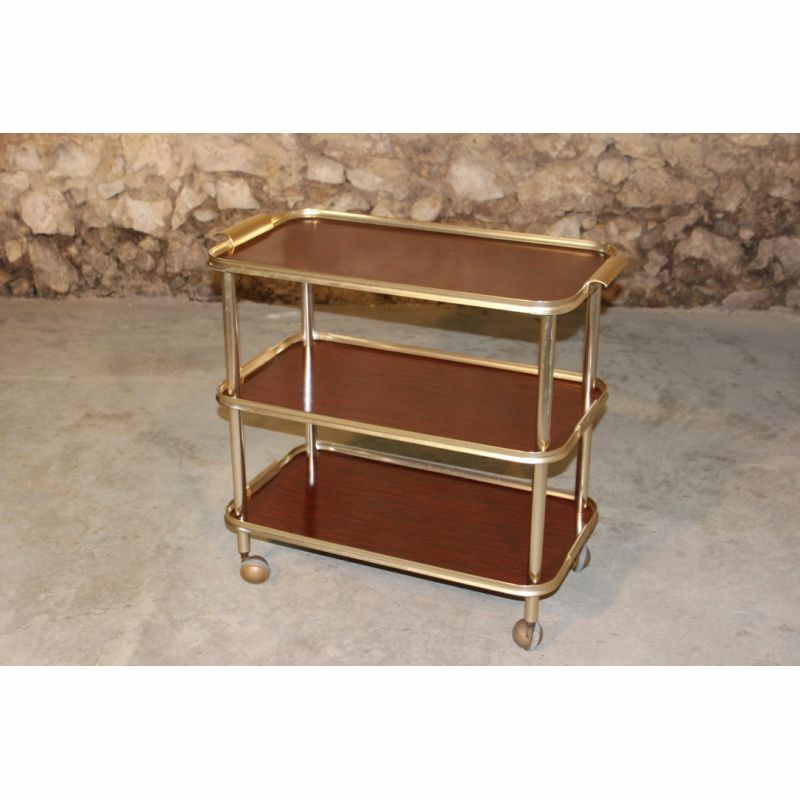 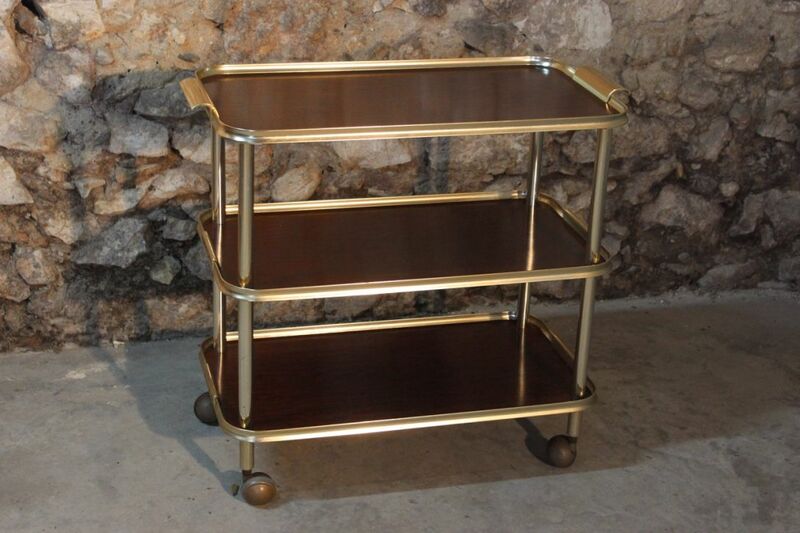 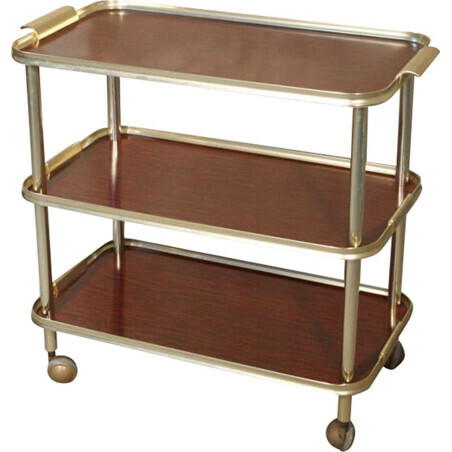 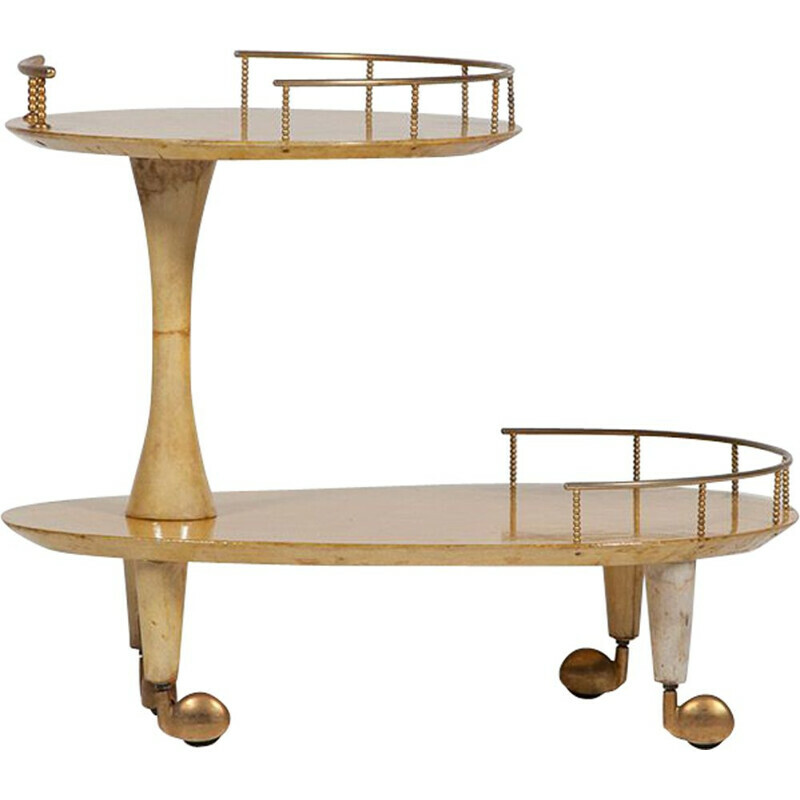 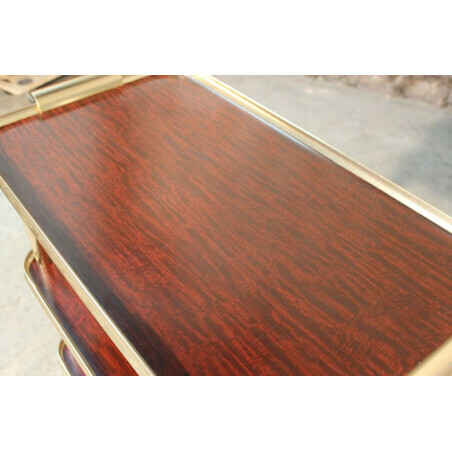 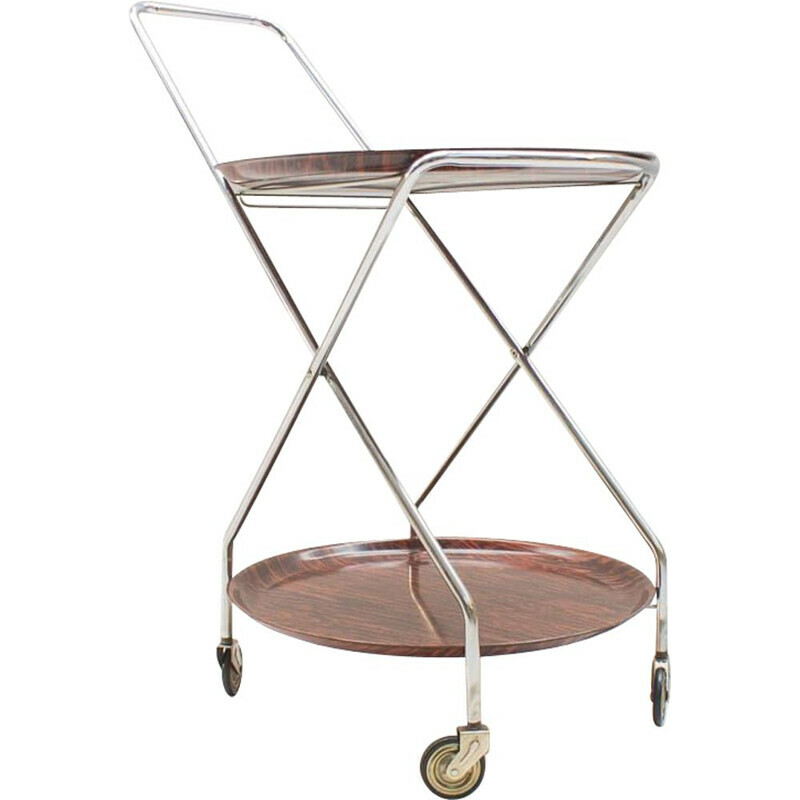 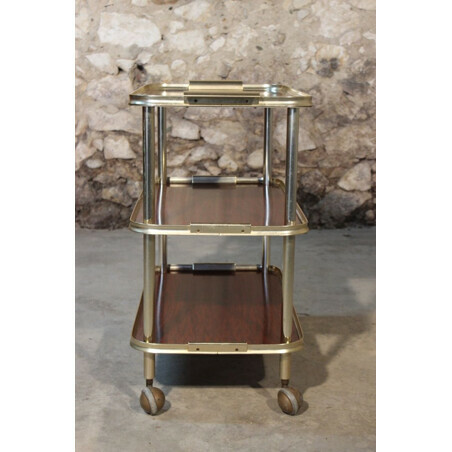 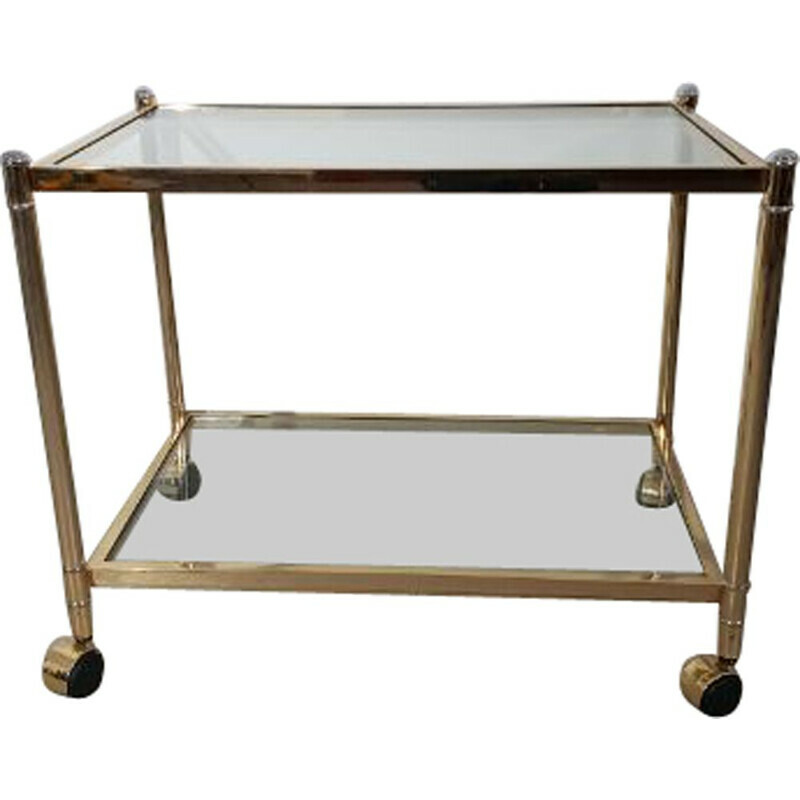 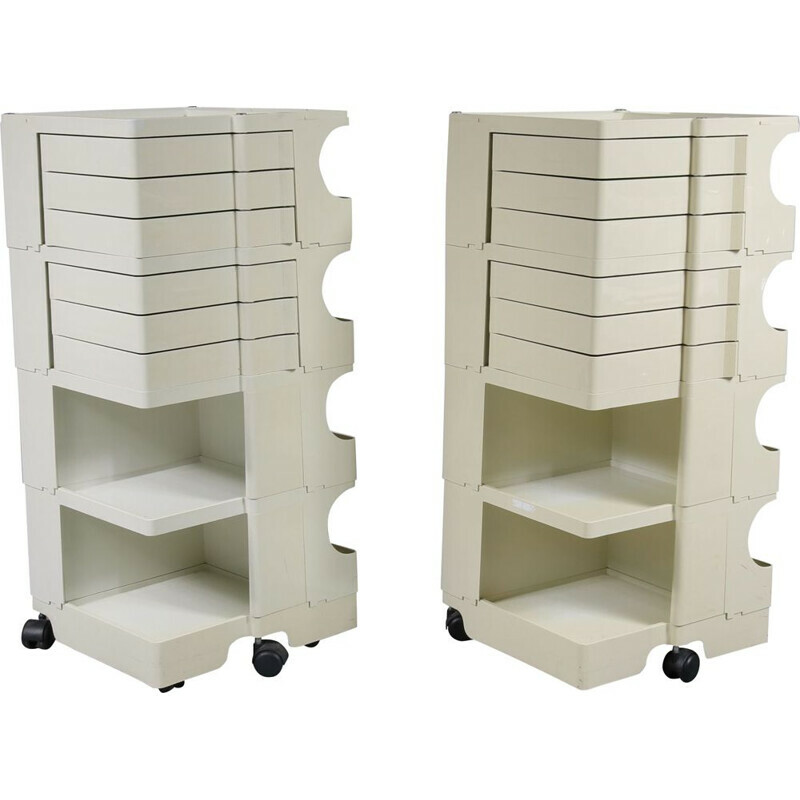 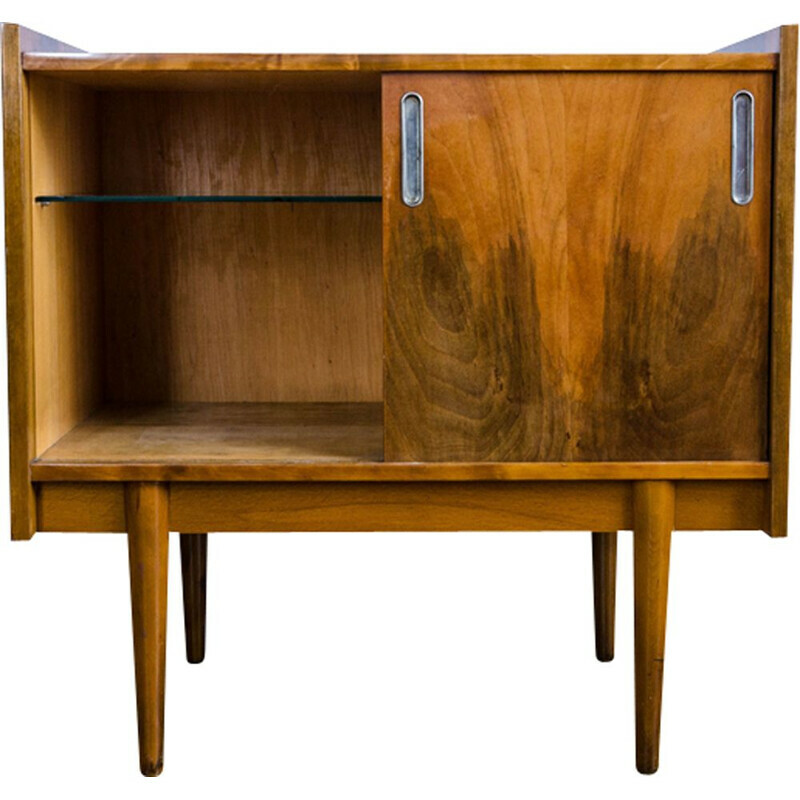 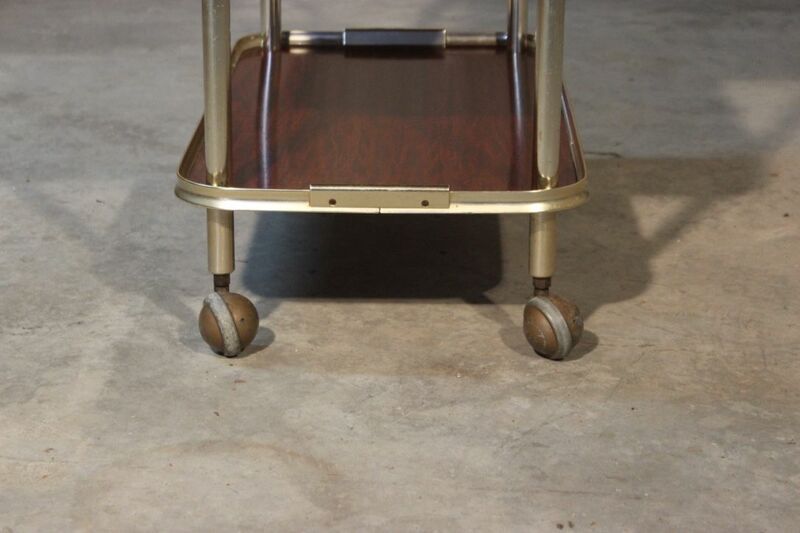 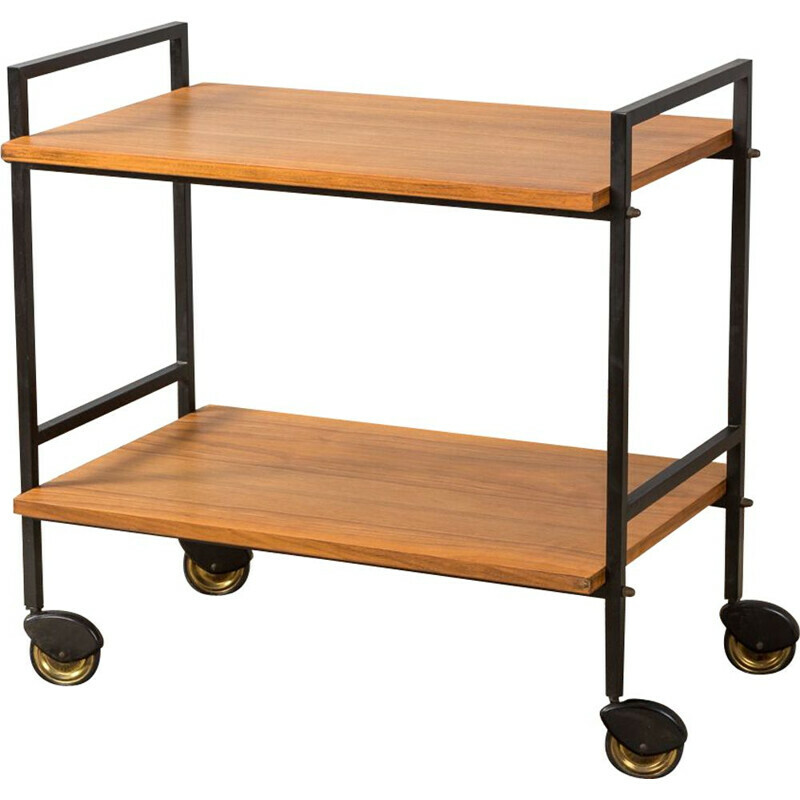 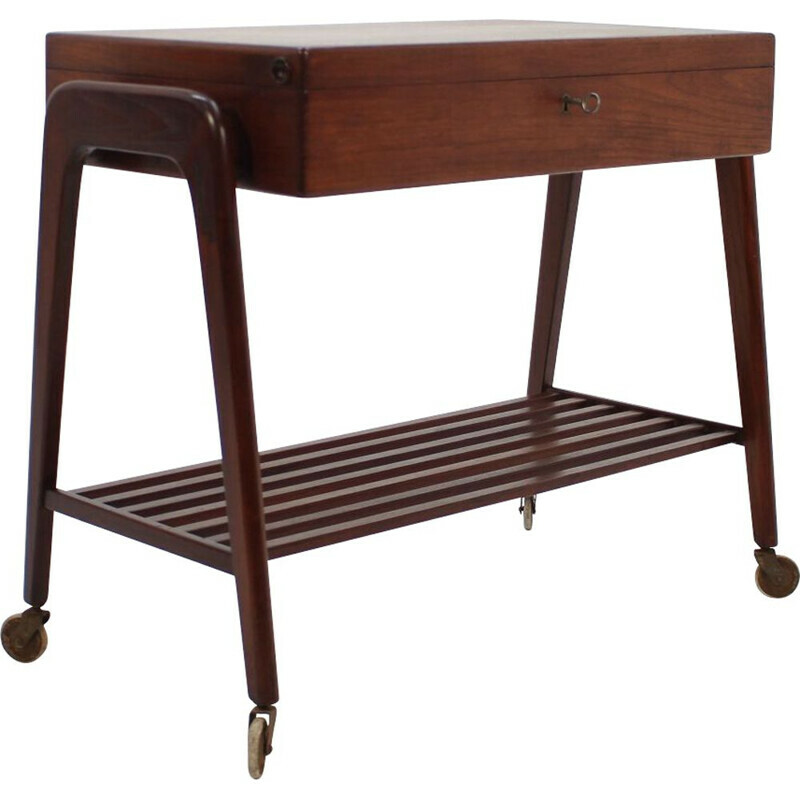 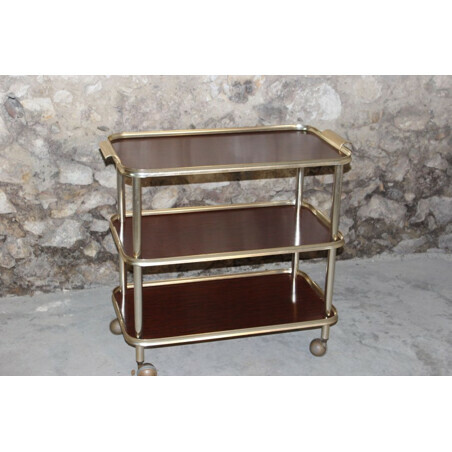 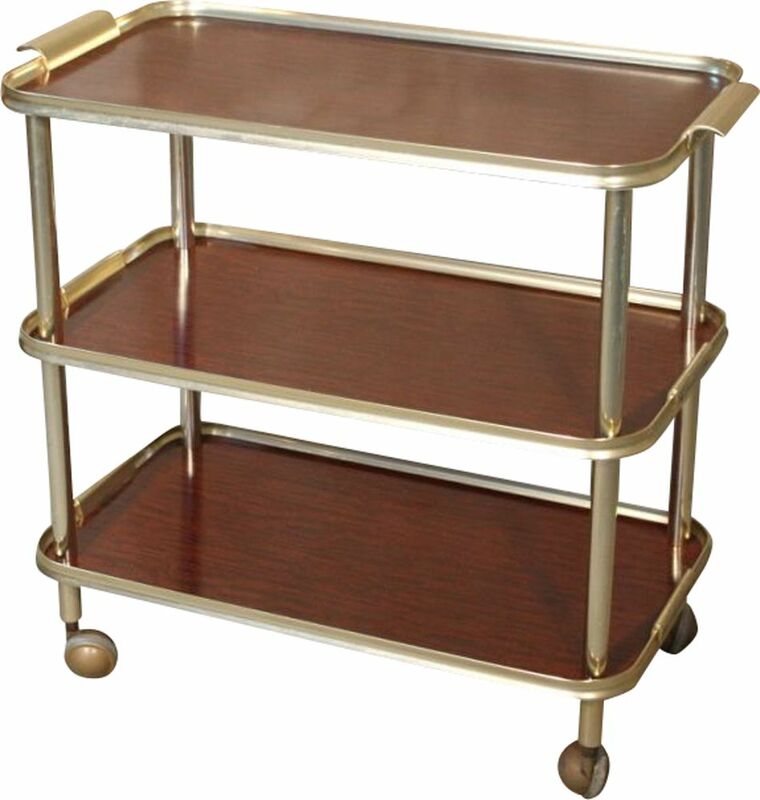 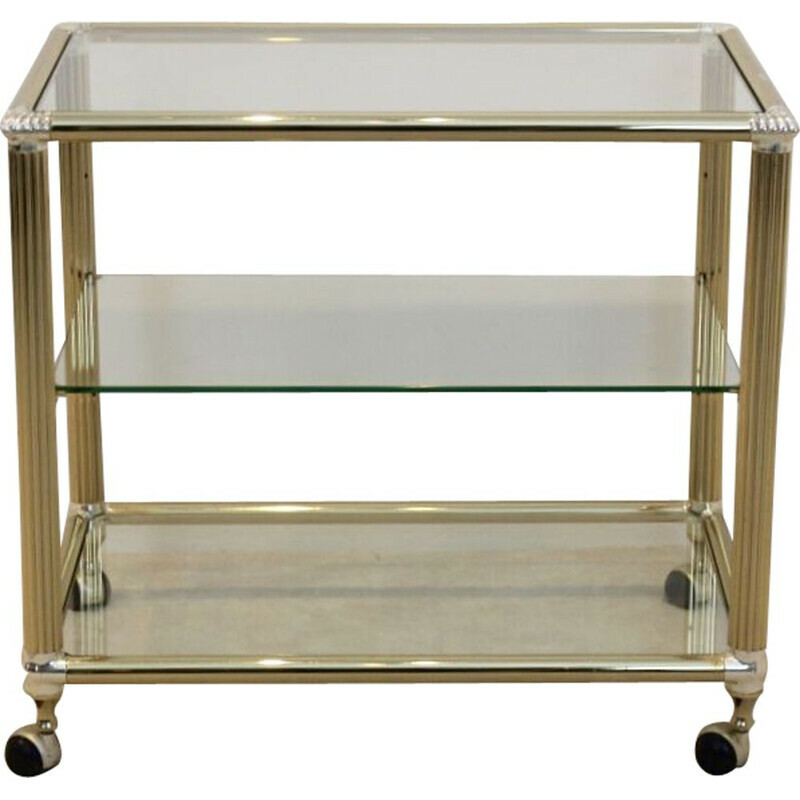 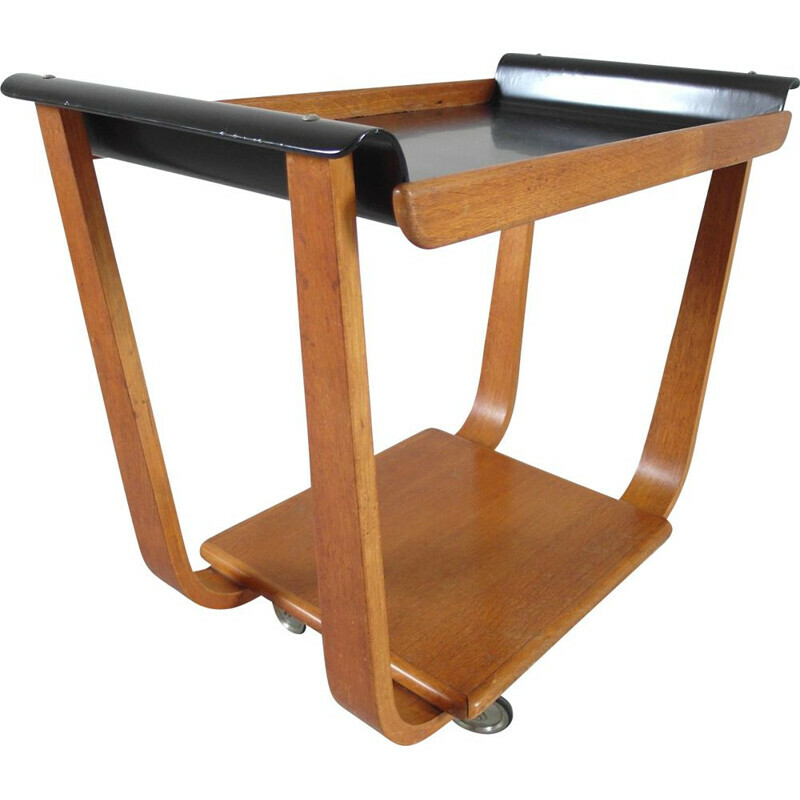 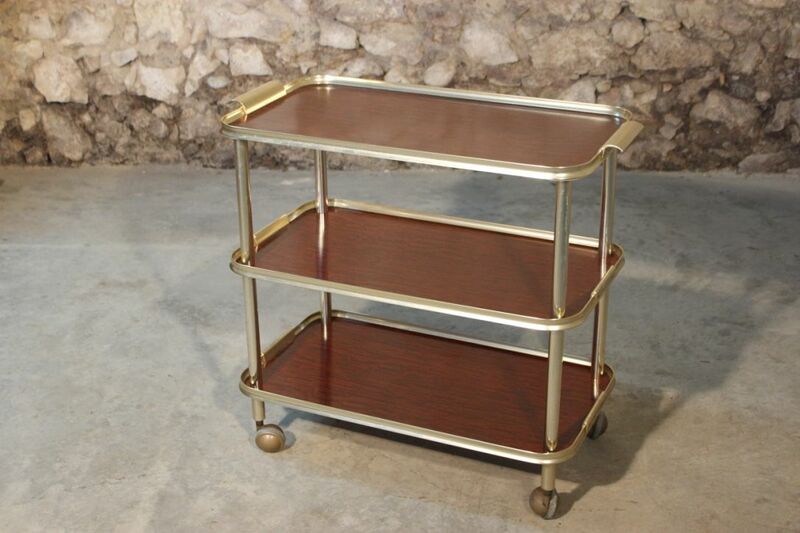 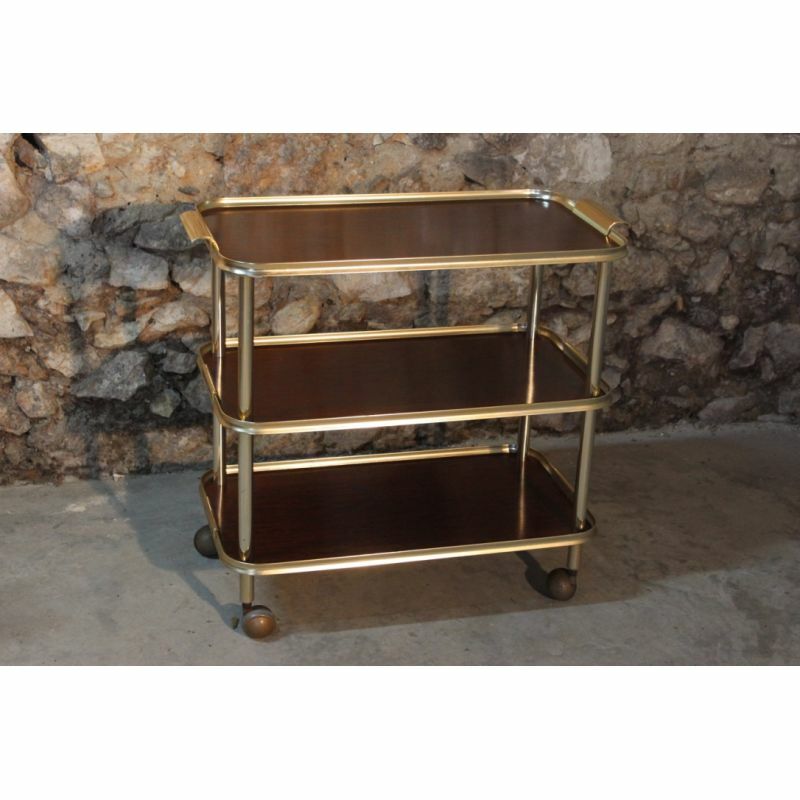 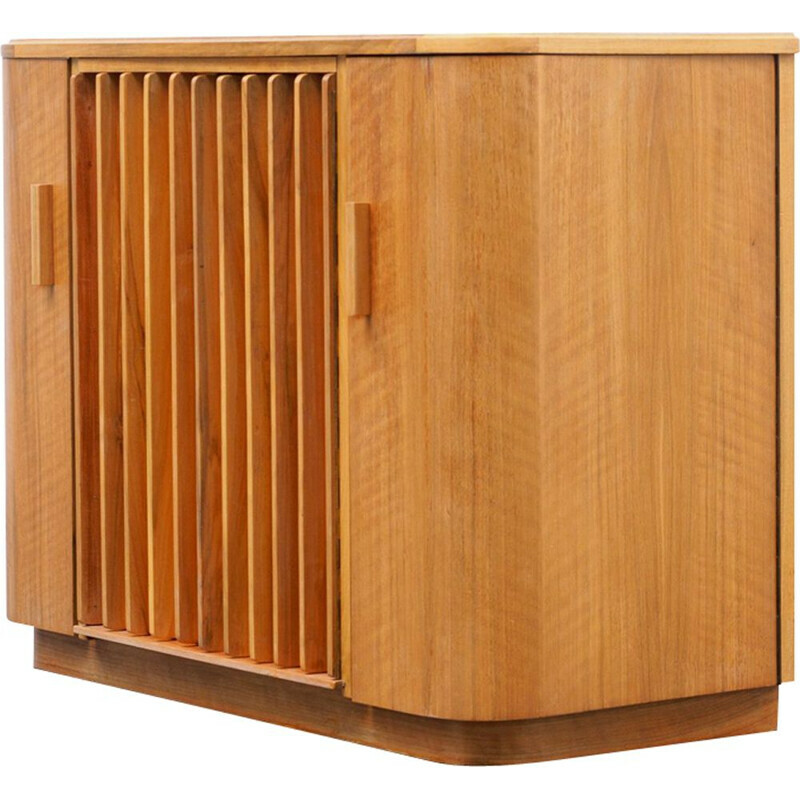 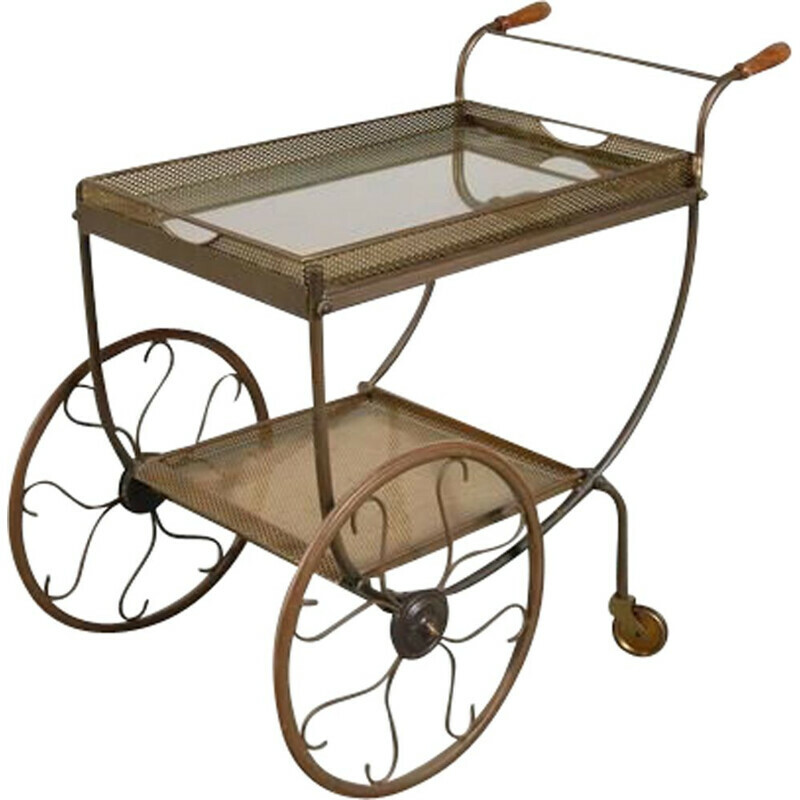 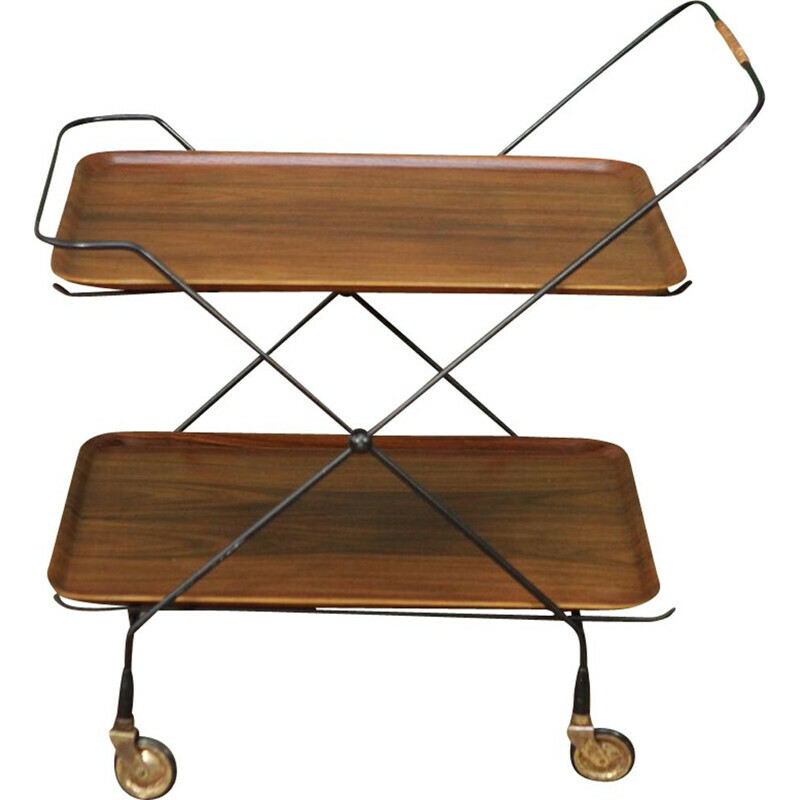 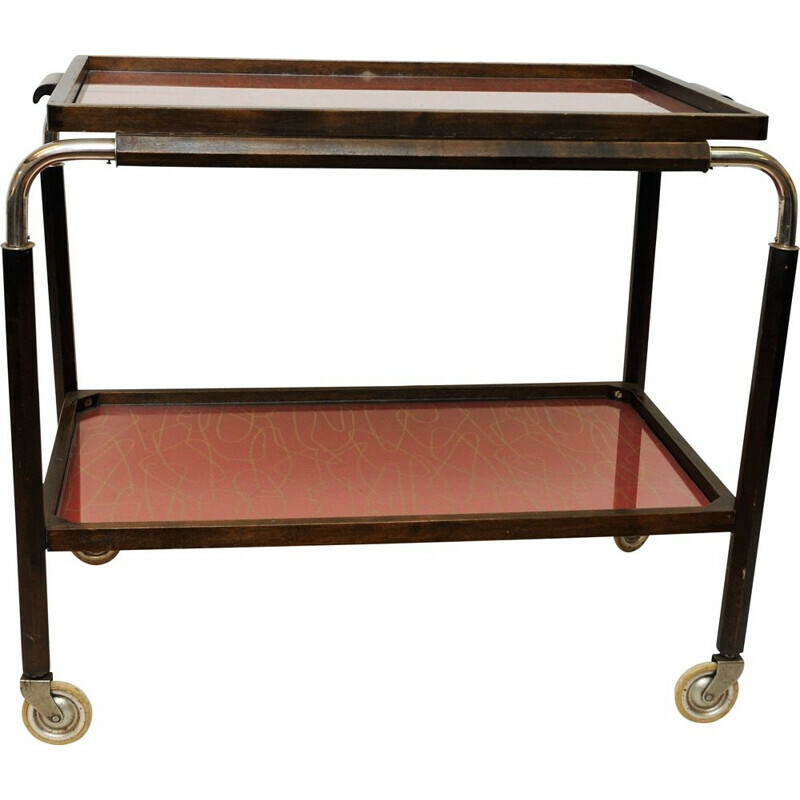 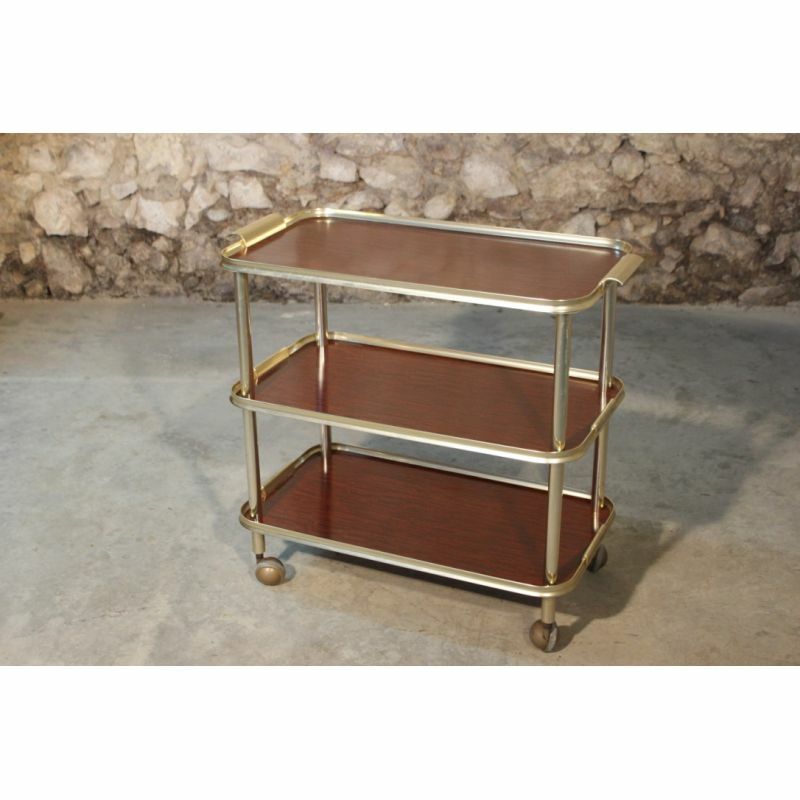 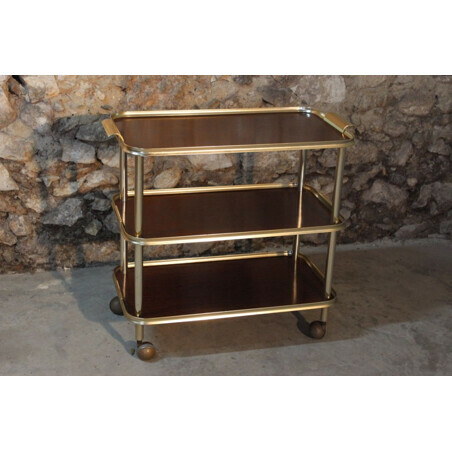 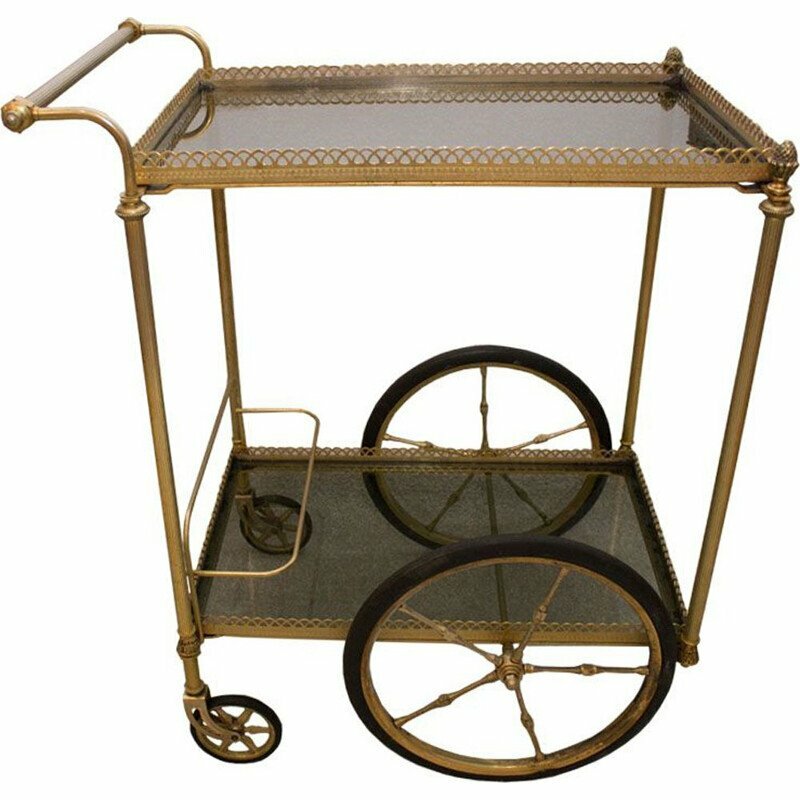 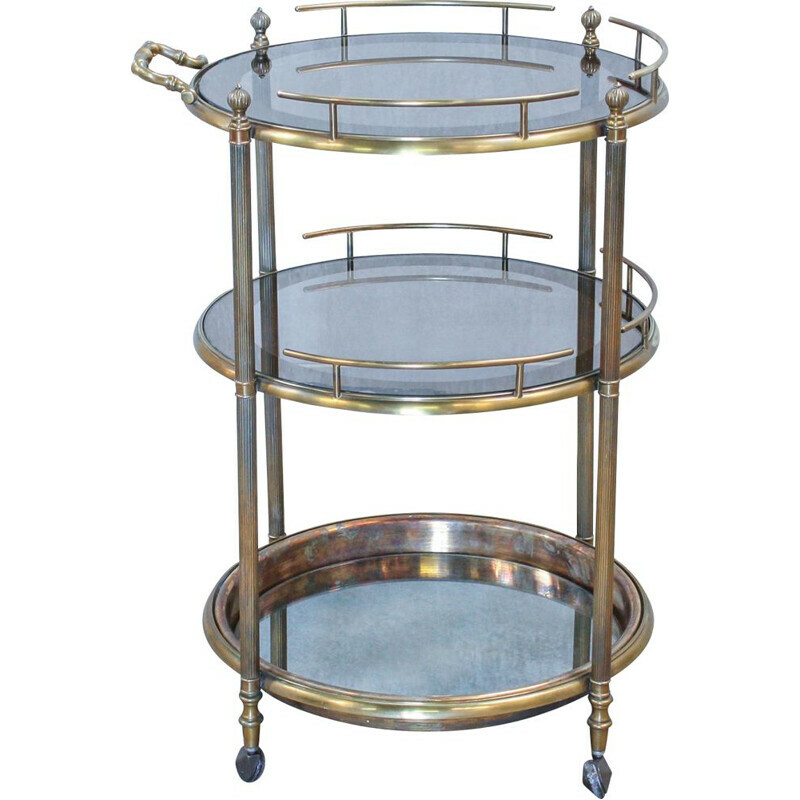 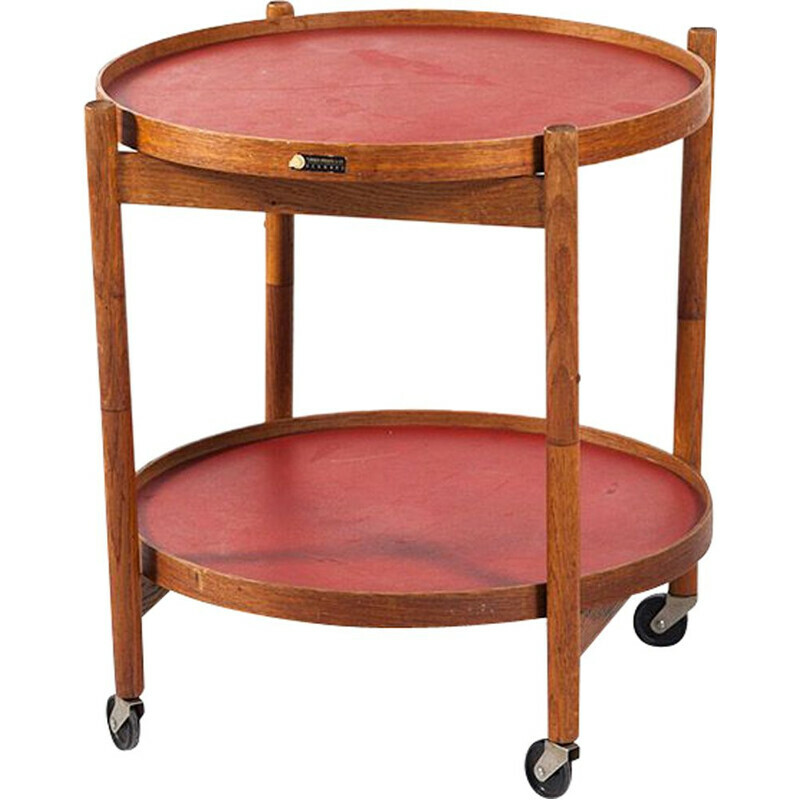 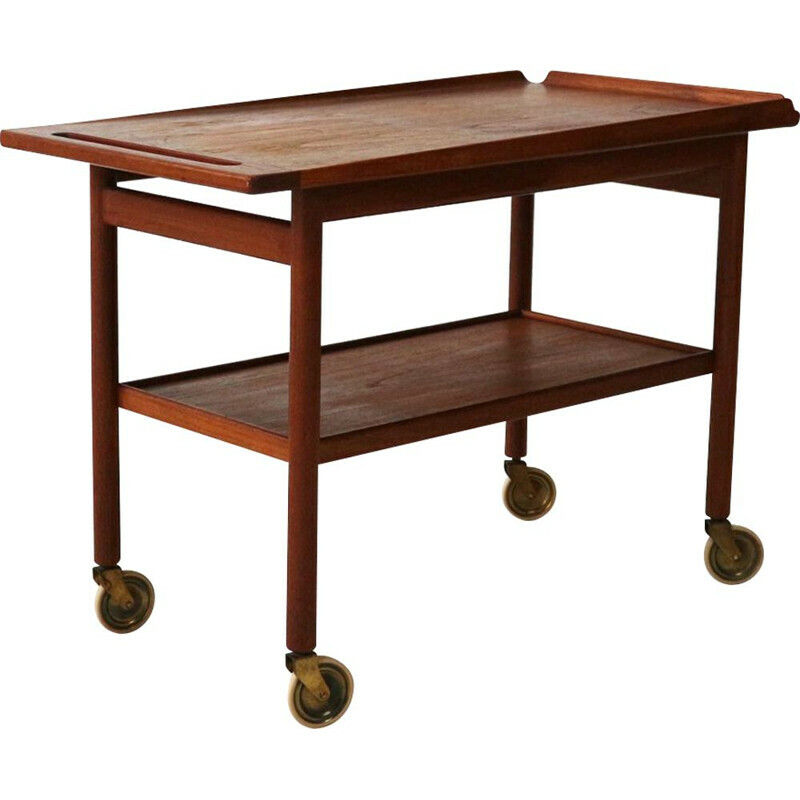 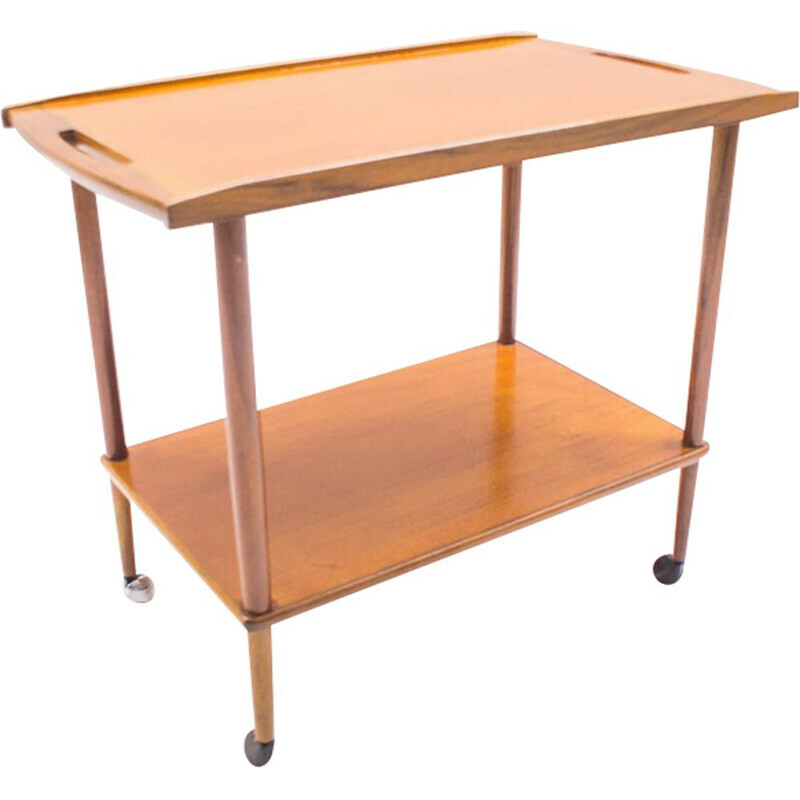 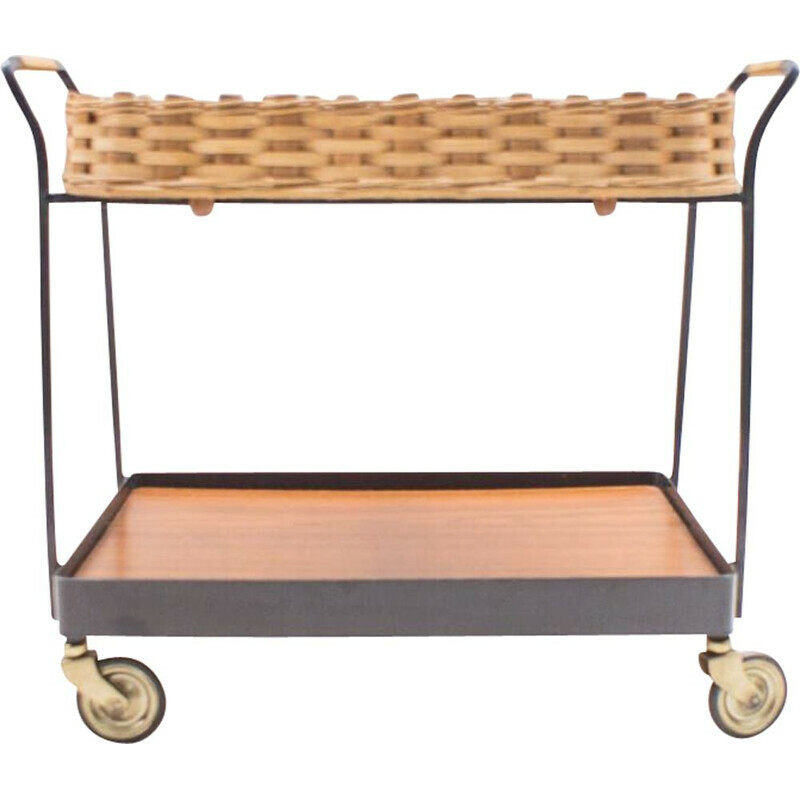 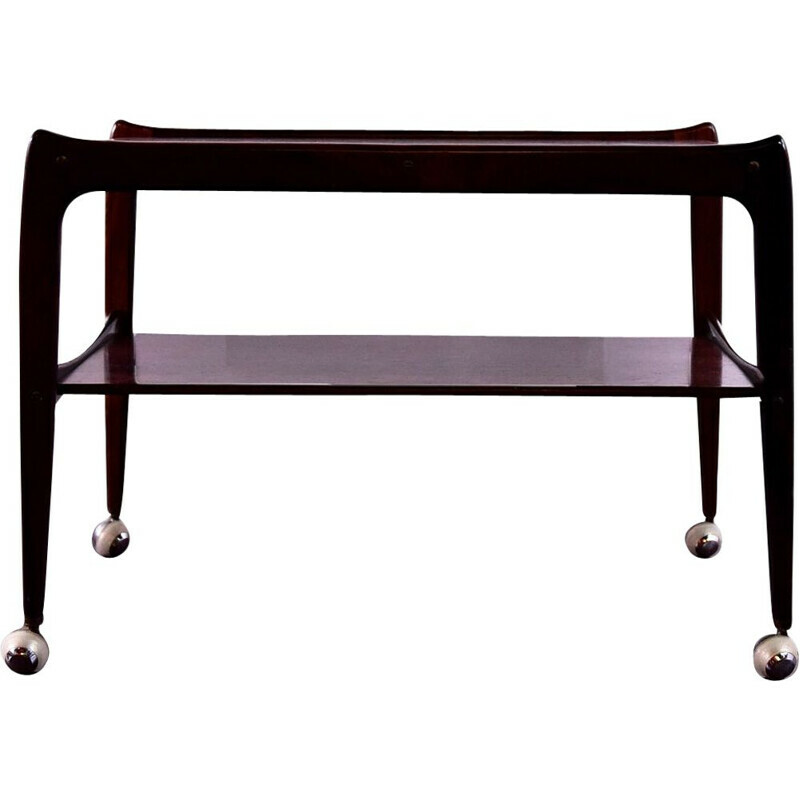 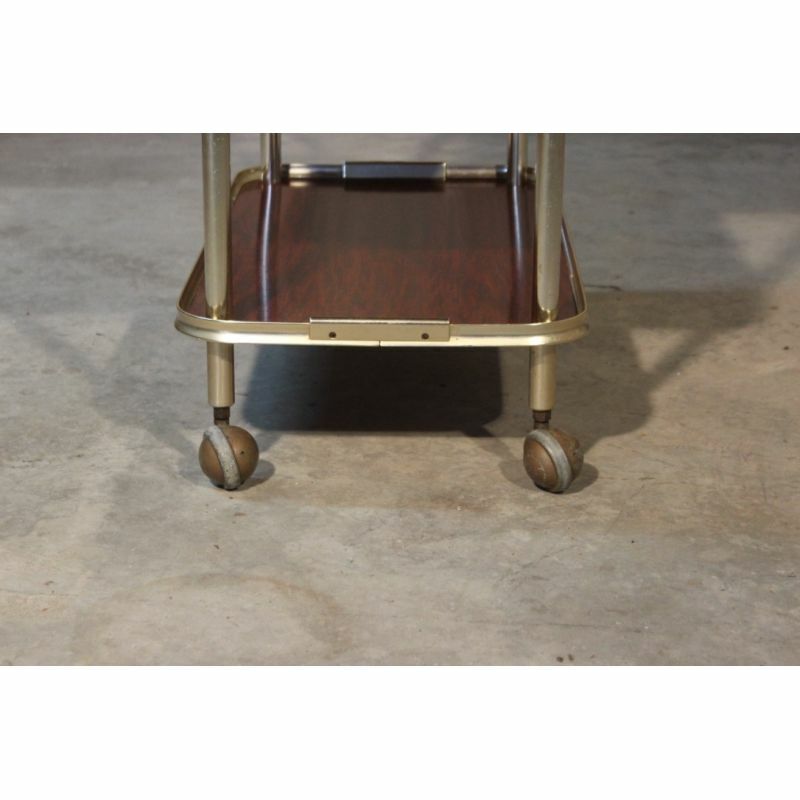 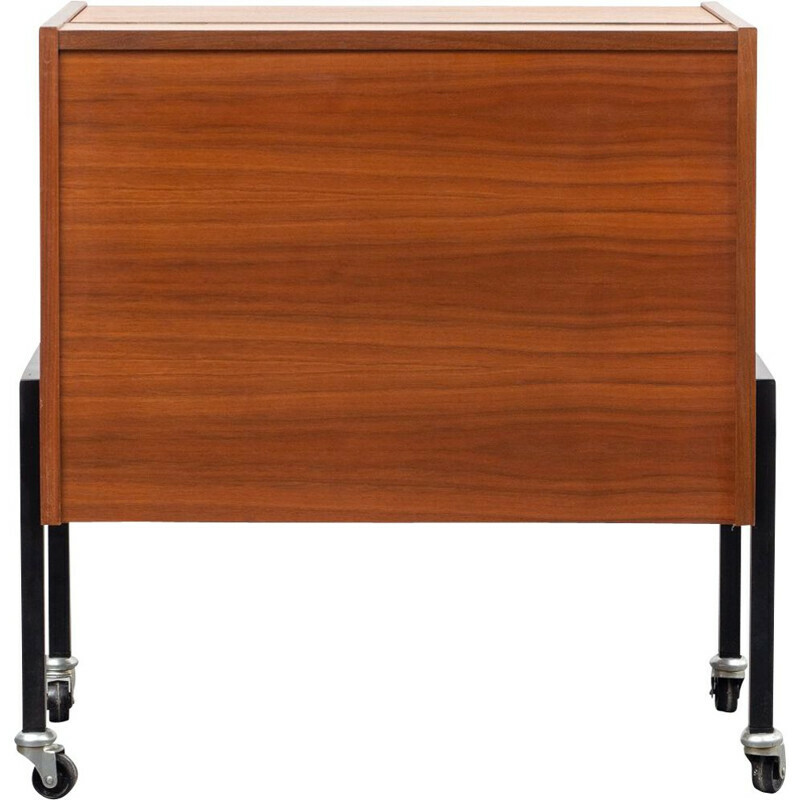 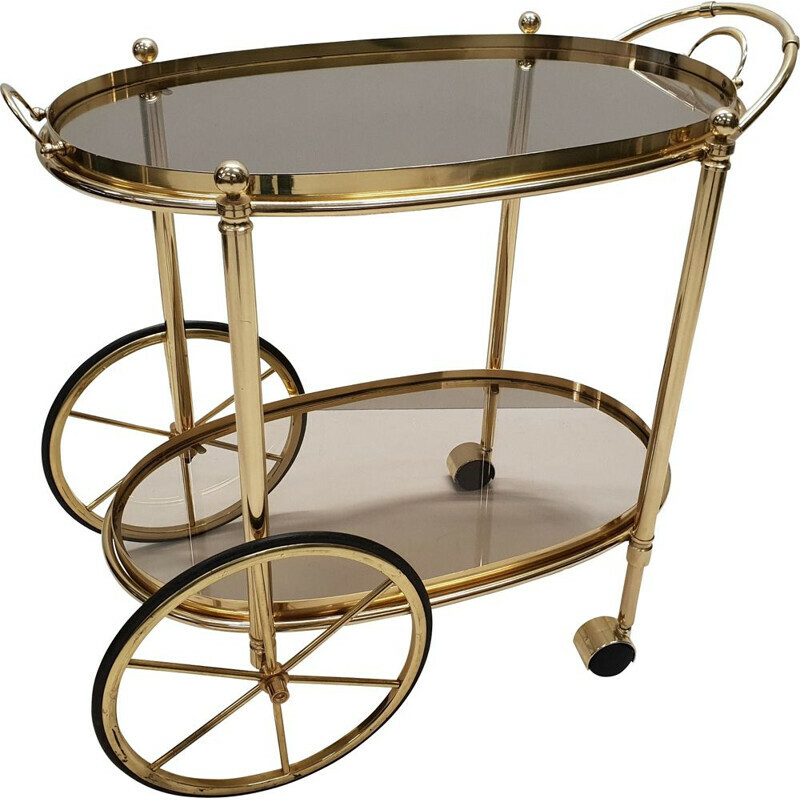 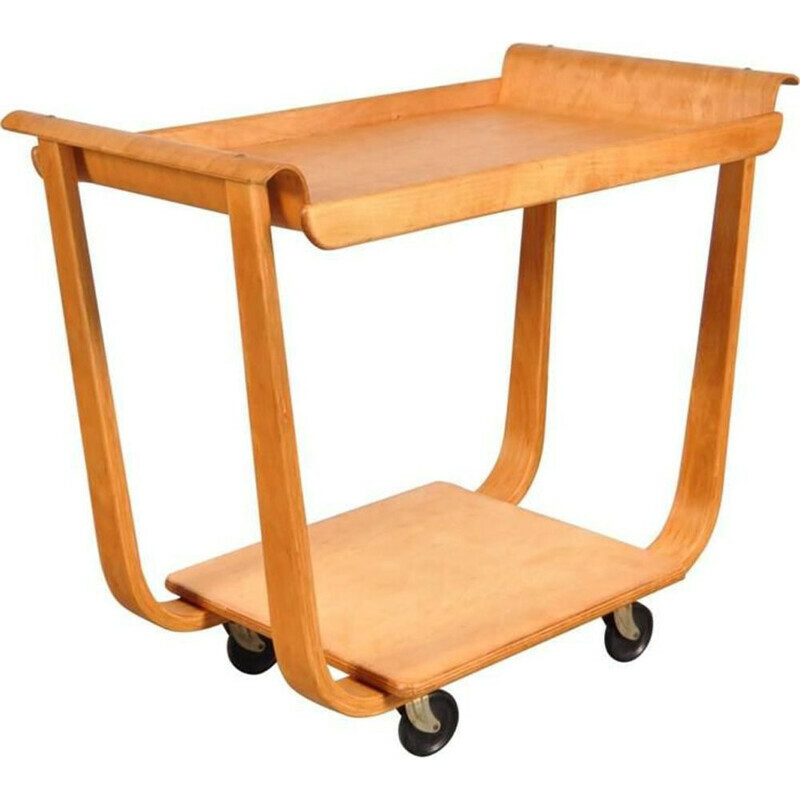 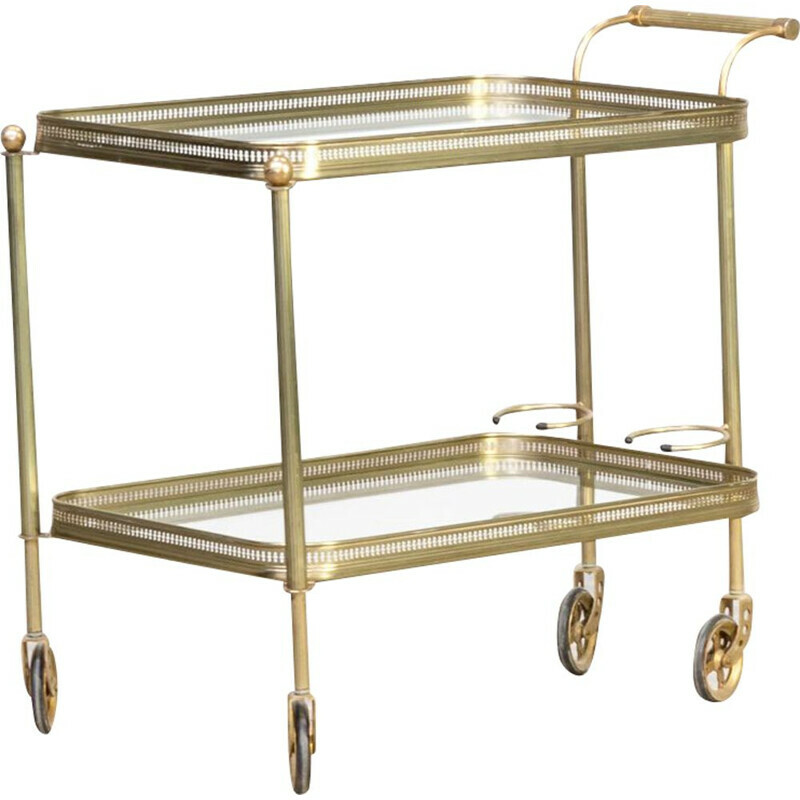 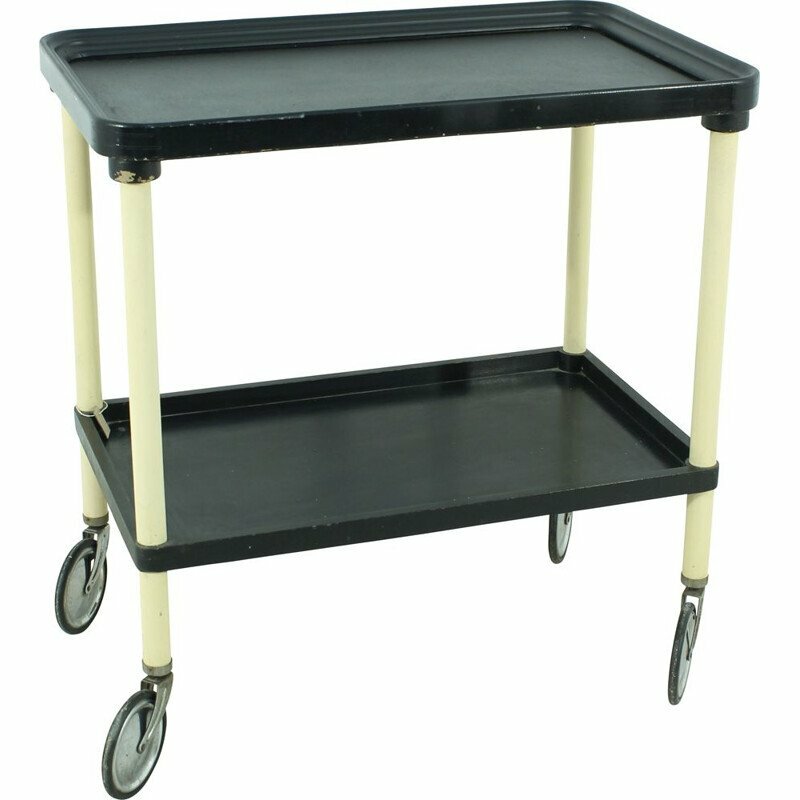 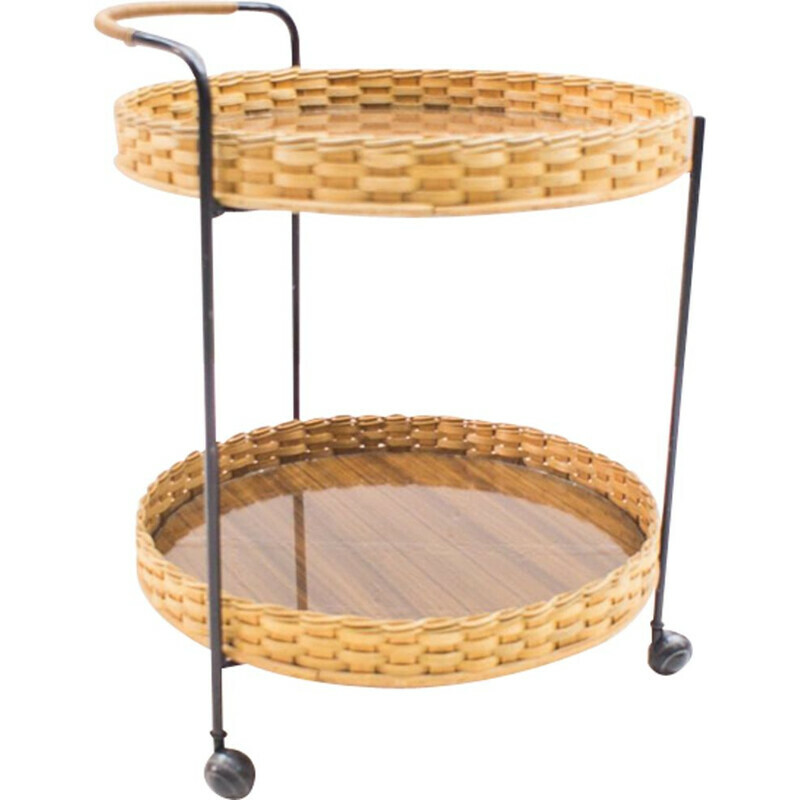 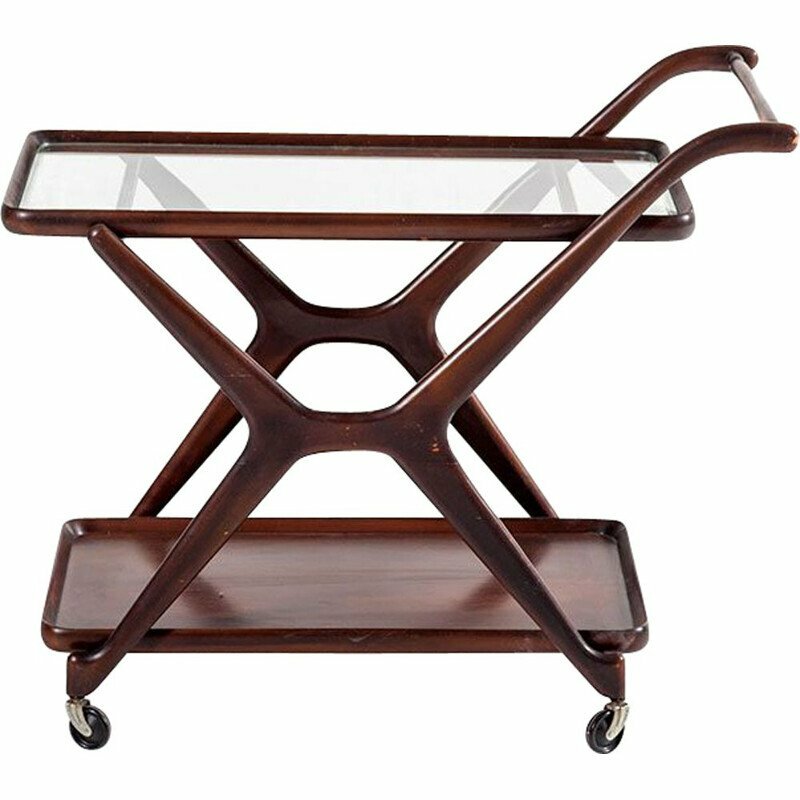 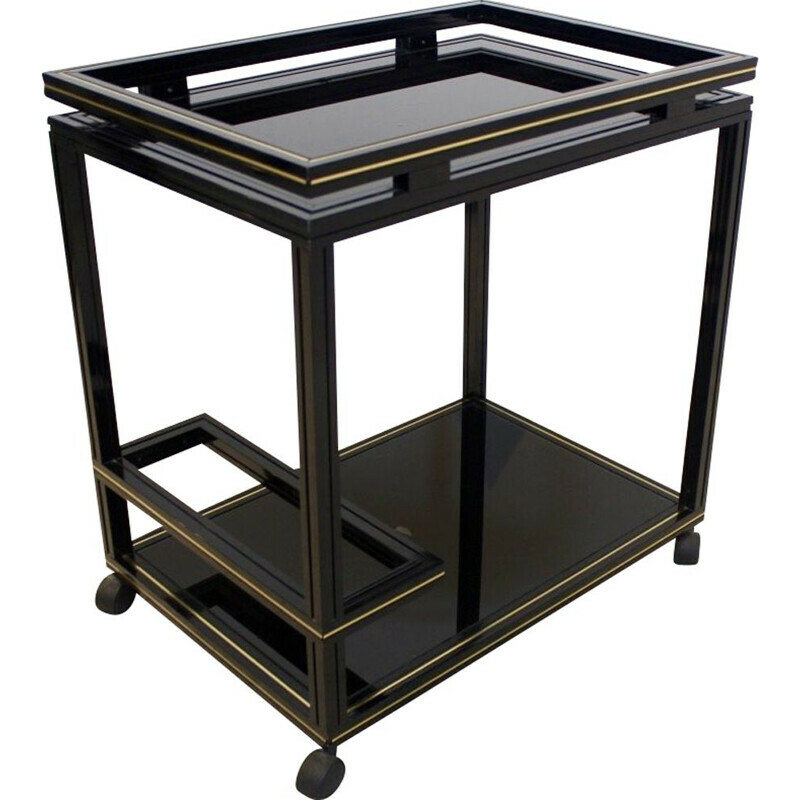 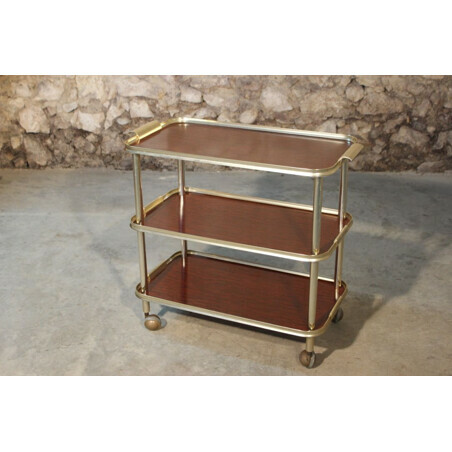 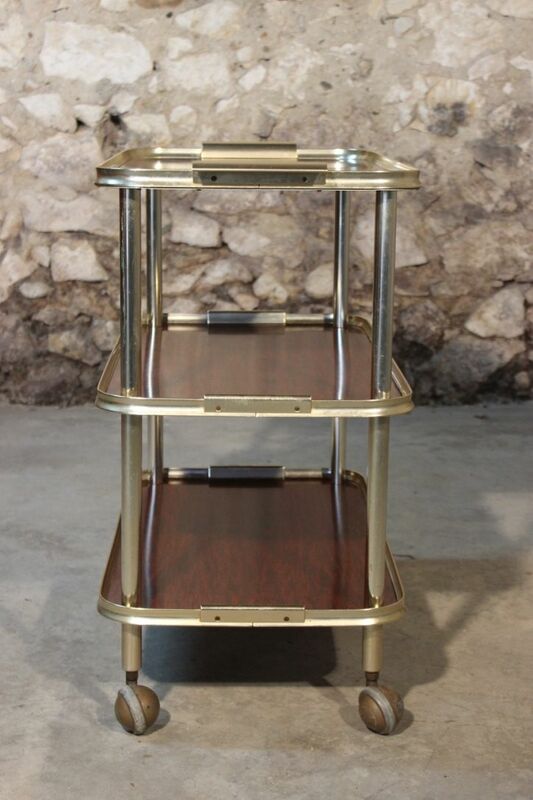 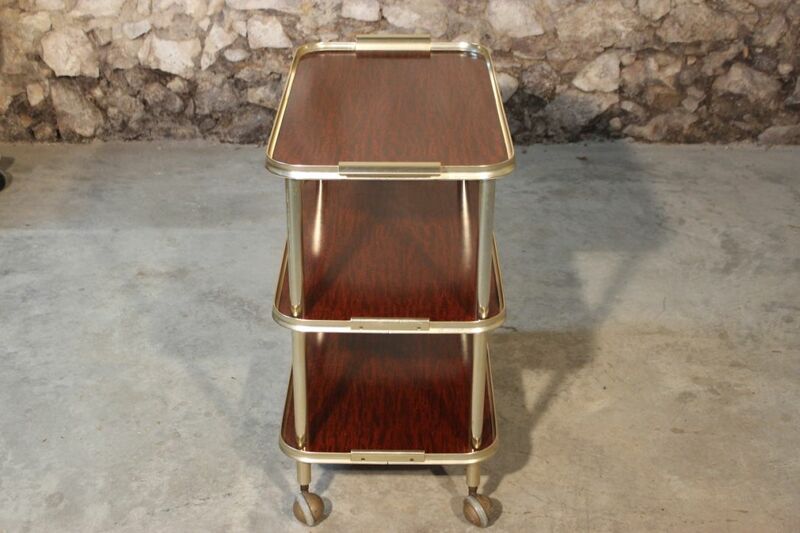 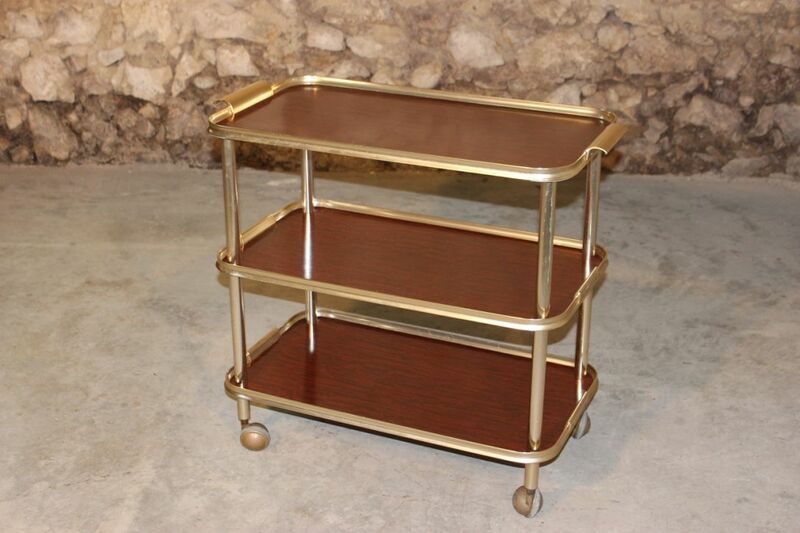 Trolley with 3 trays in formica with structure rio rosewood (1960s) golden metal handle. 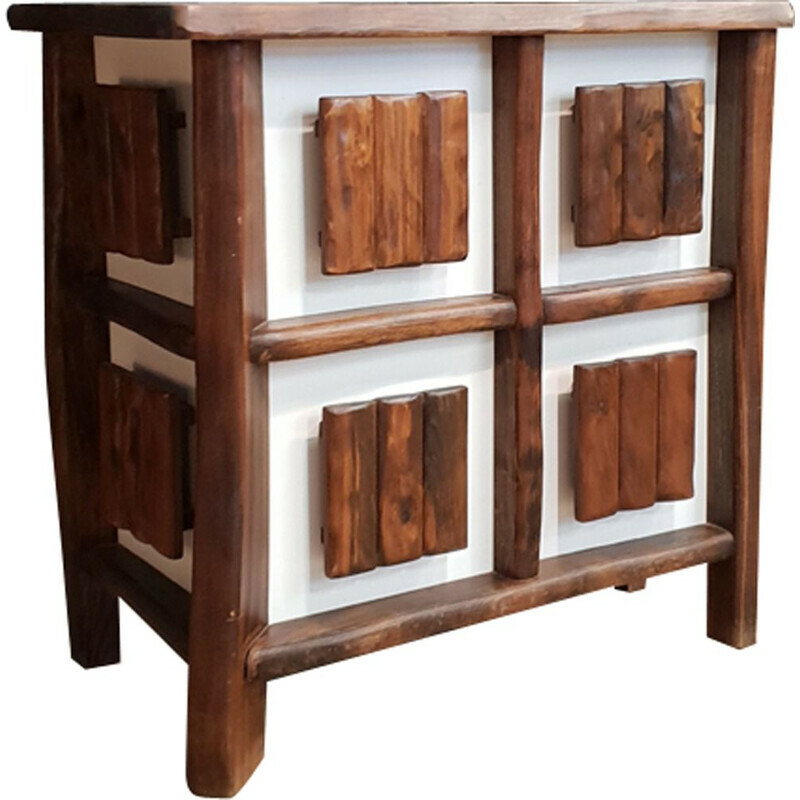 The unit can also serve as a bar. 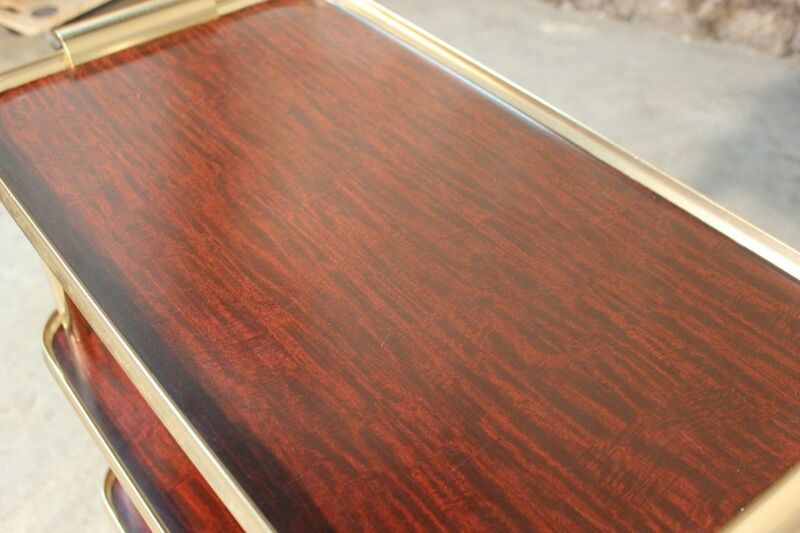 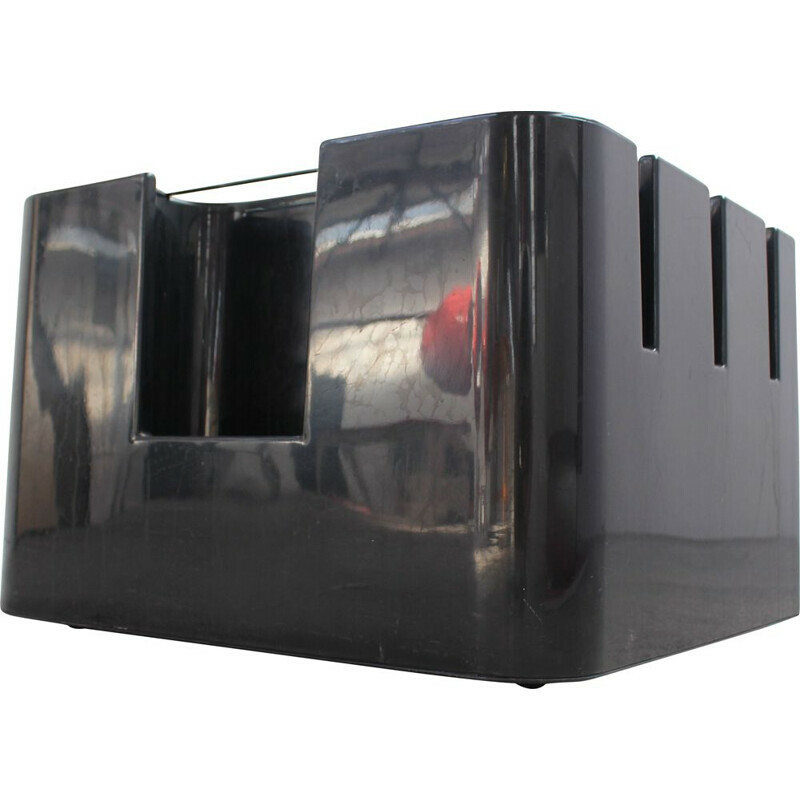 In very good condition, some signs of normal use for his age. 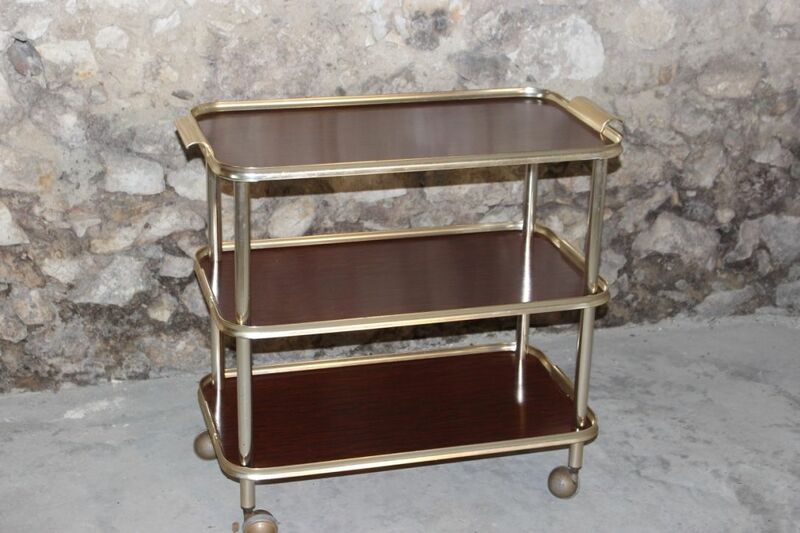 Dimensions: 76 x 70 x 39cm.